Back in the day, dancers often studied a single technique and swore allegiance to one choreographer. 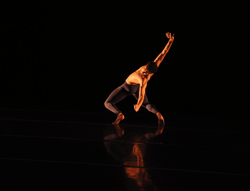 Now, dancers typically must handle a much wider range of physical and creative demands. One way to gain the mental and physical resilience their careers require is through the practice of yoga. Yoga classes that incorporate all aspects of the practice, from philosophy and breath work to poses and meditation, have the most to offer. A good class will balance internal and external rotation in the hips and shoulders, stability with mobility in the torso and even the exhale of breath with the inhale. Perhaps most helpful of all, yoga draws us into the present moment, settling our attention so that the mind can begin to quiet. Students are encouraged to work from the inside out; to let go of attachment to specific shapes and tune in to the felt experience of each pose. By freeing dancers from fixating on the mirror, yoga can deepen a dancer's kinesthetic intelligence and depth as a performer.